Michael Jackson - HQ Scan - Michael waits in the executive lounge for a flight on Delta Airl. Scanned From "Before He Was King" kwa Todd Gray. HD Wallpaper and background images in the Michael Jackson club tagged: photo michaeljackson kingofpop mjfam hq scan. 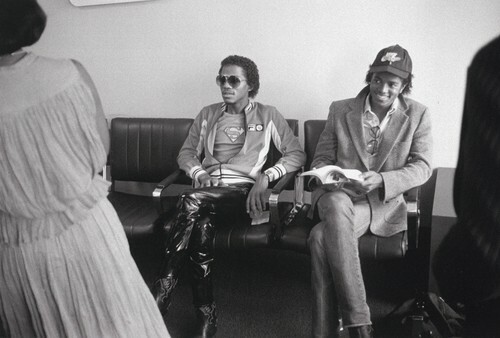 This Michael Jackson photo might contain sebuleni, ameketi chumba, mbele ya chumba, chumba, kukaa chumba, chumba mbele, parlor, suti biashara, biashara suti, chumba cha kuchorea, and chumba kuchora.